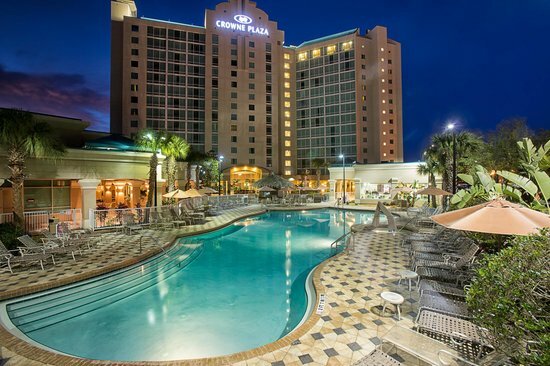 The Crowne Plaza - Downtown Orlando is offering an exclusive nightly rate for WBC Attendees. Of high quality, the Crowne Plaza - Downtown Orlando is our official host hotel for the World Ballet Competition 2014 and is the closest hotel in proximity to the theater (Bob Carr Performing Arts Center). The special rate is only available until May 17, 2014. Rooms booked after this date will be charged full price. About the Crowne Plaza: Experience the Crowne Plaza Orlando Downtown Hotel, the best choice among downtown Orlando Hotels. Located off I-4 in downtown Orlando, this address provides easy access to everything to see and do in Orlando. The urban, chic Crowne Plaza Orlando Downtown is close distance to downtown’s entertainment venues such as Amway Center – home of Orlando Magic, and Bob Carr Theatre, 6 miles from Universal Studios, Sea World Orlando and 15 miles from Walt Disney World Theme Parks.